Downey Daily Photos: Go confidently! 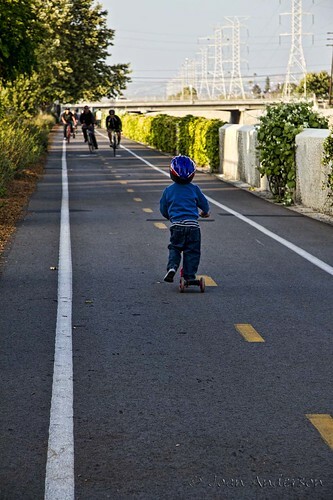 Riding significantly ahead of his parents, this little guy was determined to make his own path on the Rio Hondo riverbed bike path. He showed no hesitation in the face of the approaching bikes traveling in the opposite direction.